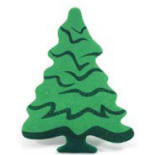 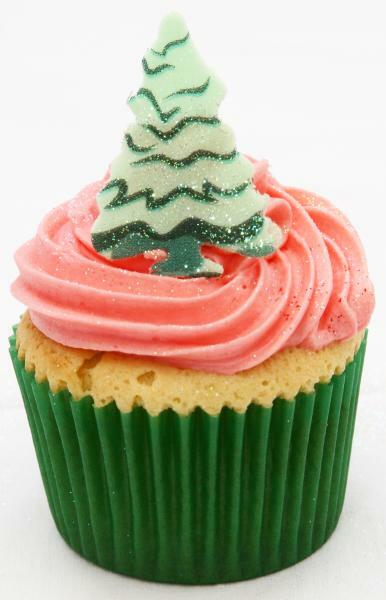 A packet of 6 large edible green Christmas trees that are perfect for decorating big festive cakes. These trees are 7cm high and 5.5cm wide, so are only suitable for larger cakes. 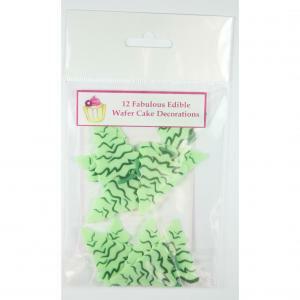 Sprinkle them with white cake glitter for a gorgeous snowey effect.